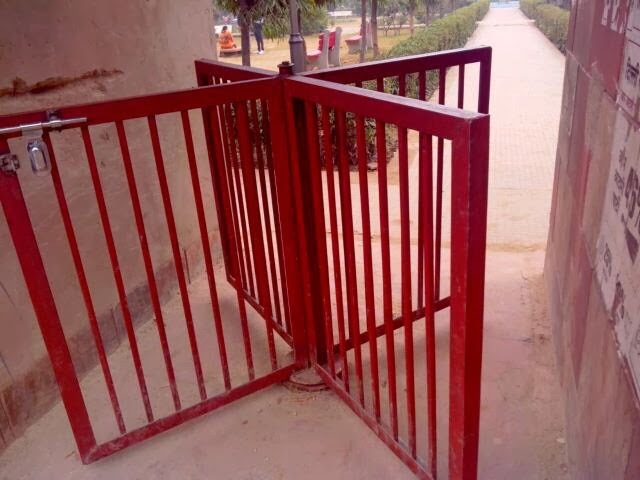 This turnstile has been installed in place of an earlier normal L shape gate to prevent dogs from entering the park. The decision is of a local politician. But dogs walk right through the slit, visible on the right of the picture.